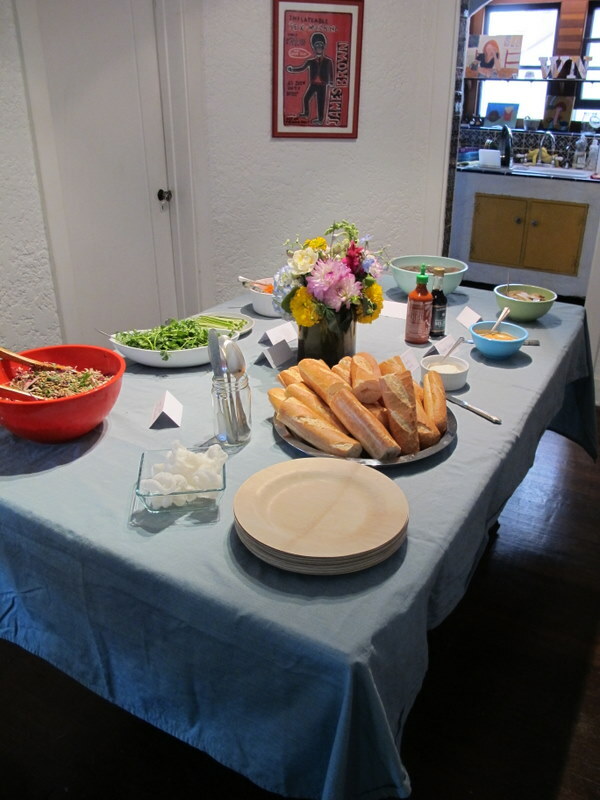 I mentioned that we served a Banh Mi Sandwich buffet at Anjali’s bridal shower last month but I didn’t share any pictures of the buffet itself. 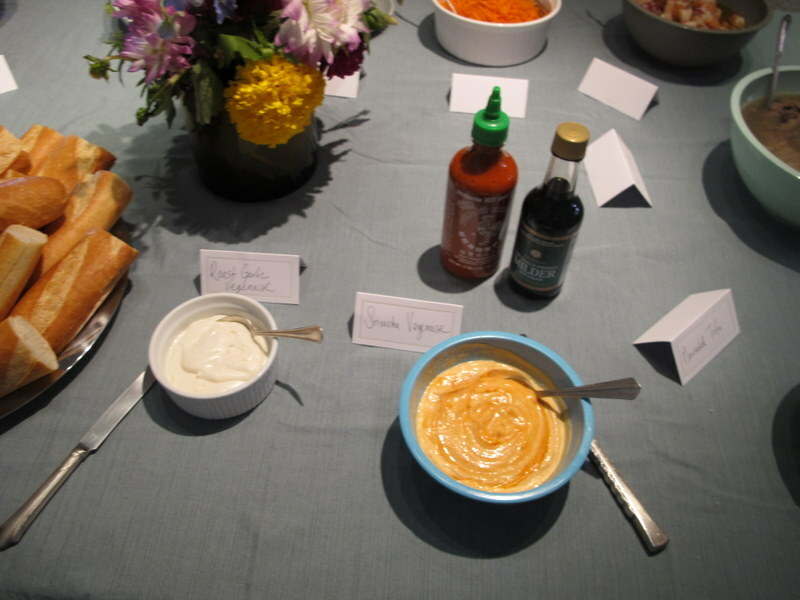 A DIY sandwich buffet is a unique and easy way to feed a large crowd. 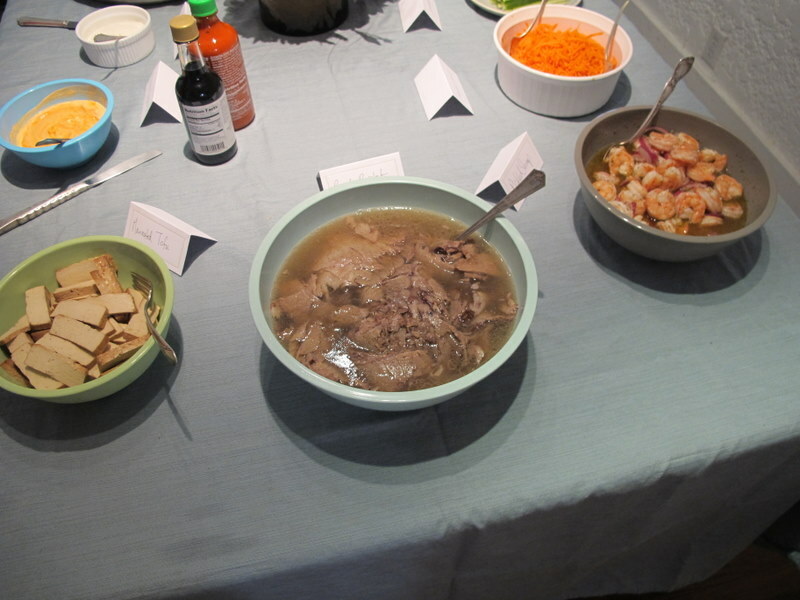 Take some help from your local Vietnamese restaurant and order the baguettes and the meat from the restaurant to cut down on your cooking duties. 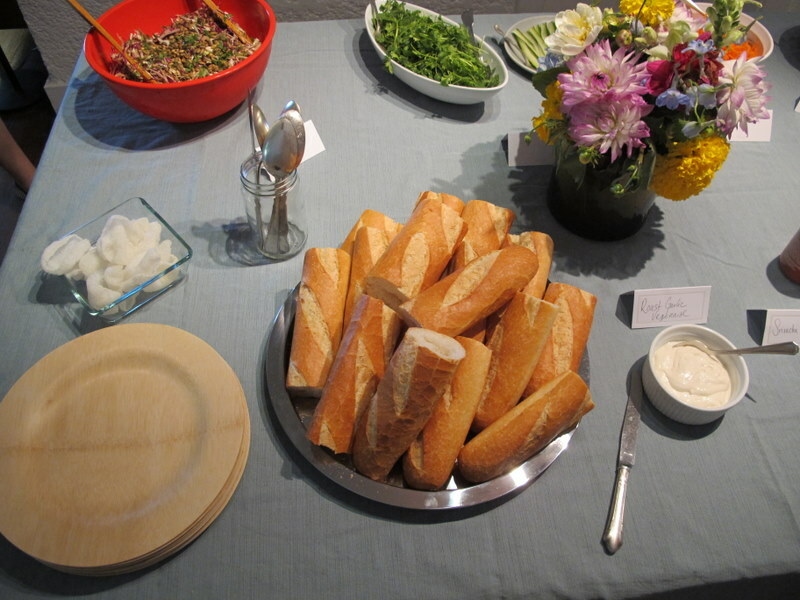 Set up your table in a way that guests start with the baguettes and then move from filling to filling to layer up their sandwiches as they please. Vietnamese baguettes from Xoia in Echo Park are extra crisp on the outside and fluffy on the inside. We cut them onto sandwich sized portions and then horizontally down the middle so they were ready to fill. I made roasted garlic “aioli” by slow roasting a head of garlic and then pureeing it into Vegenaise with a splash of lemon. I made Sriracha “aioli” by mixing Sriracha chili sauce and lime juice into Vegenaise. I used Vegenaise because it tastes good and I wanted to make sure to accommodate any vegan shower guests. 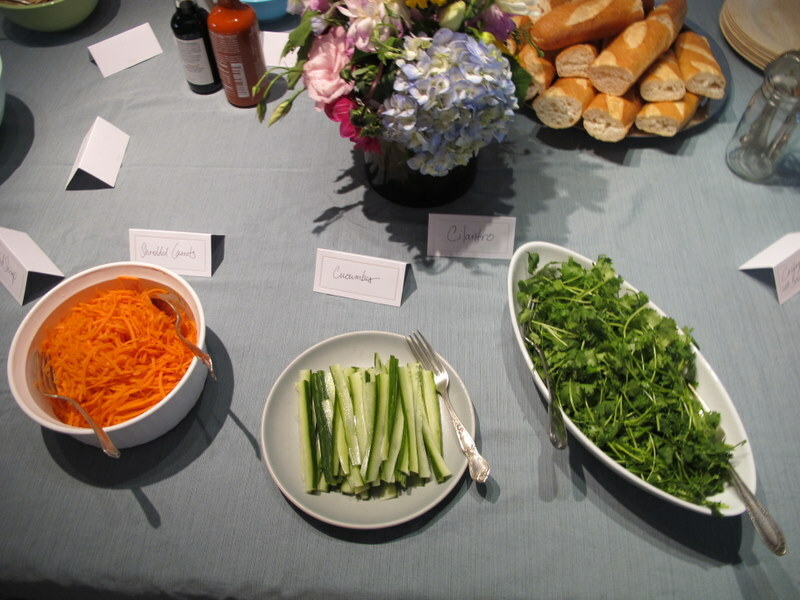 Next guests topped their sandwiches with shredded carrots, long matchsticks of cucumber and whole stems of crisp cilantro. 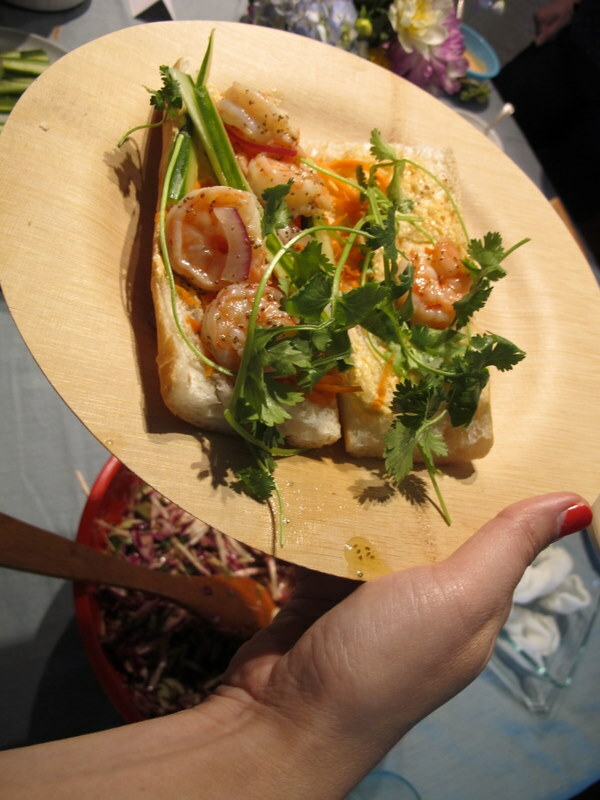 An artfully arranged shrimp sandwich on a Bambu plate. The sandwiches were delicious and satisfying, custom built to satisfy everyone’s tastes and dietary needs. All the plates returned empty. Success.